Do you know where Mr & Mrs Wyse lived? Where did Lucia and Georgie stay on their first visit? How could Miss Mapp spy on so many people? Find out, take a guided walk round Rye, looking at the houses and places associated with the Mapp and Lucia novels, also looking at the houses and some of the locations used in both the C4 the BBC TV series. 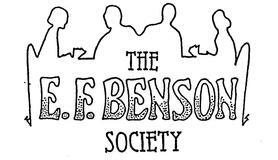 Walk round Rye and see where the various incidents in the books took place as well as taking in aspects of E.F.Benson’s life. The Walk lasts about 1hr 45 mins. From: The Look-out at the eastern end of the High Street, the viewing point with the telescope for looking over the Romney Marsh and Blue Plaque stating the viewing point was given by E.F.Benson. The Walk ends at Lamb House, the home of E.F.Benson, and a National Trust property, which is open on Fridays to Mondays.